Plants in black pots grow better than plants in pots of other colors. Plants also grow better in pots made of pure diamond, though not many people know about that, for obvious reasons. Pruning a Codiaeum variegatum brings bad luck, usually in the form of spider mites. If you burn an Ardisia in front of a mirror on your 16th birthday, you may see the face of your future spouse in the flames. If you're opening a new business and someone gives you a dye-injected plant as a gift, your business will fail within the year. Having no houseplants is bad luck. Having too many (more than about 500) houseplants is also bad luck. Singing all four verses of The Star-Spangled Banner to any plant in the Rutaceae (Citrus, Murraya, Fortunella, etc.) protects the singer from attack by wild cats (tiger, lion, puma, etc.). Brown spots on a Dracaena's leaves mean that an enemy is thinking about you. 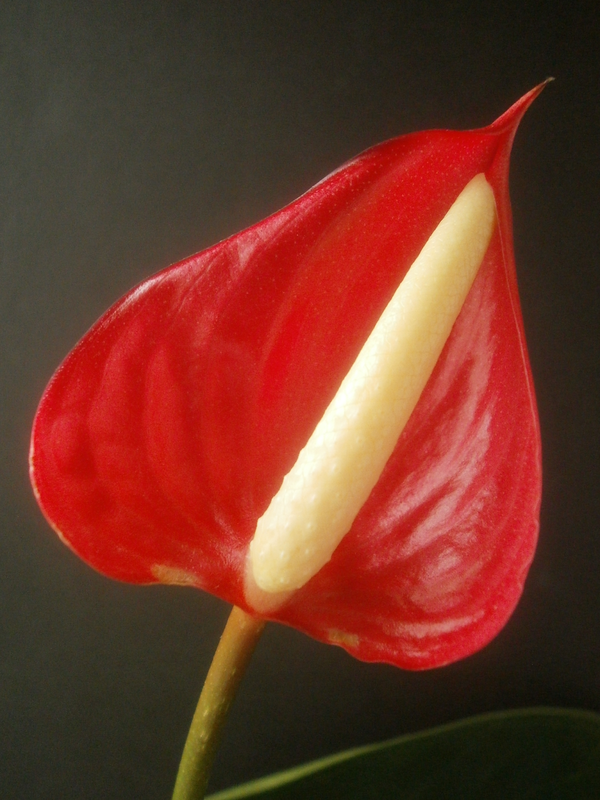 In their natural habitat, Spathiphyllum spathes are red. They only turn white in the presence of evil people. If a child is afraid of the dark, put a houseplant in their bedroom window for five months, then dispose of it in the trash: the child's fear will be gone once the garbage is collected. If the plant dies before the five months is up, it means that the thing the child is afraid of is real and you should probably move before it does whatever the child fears that it's going to do. Having potted plants at a funeral guarantees that the deceased will get to go to Heaven, even if they don't deserve it. Unless one of the funeral plants is a poinsettia. 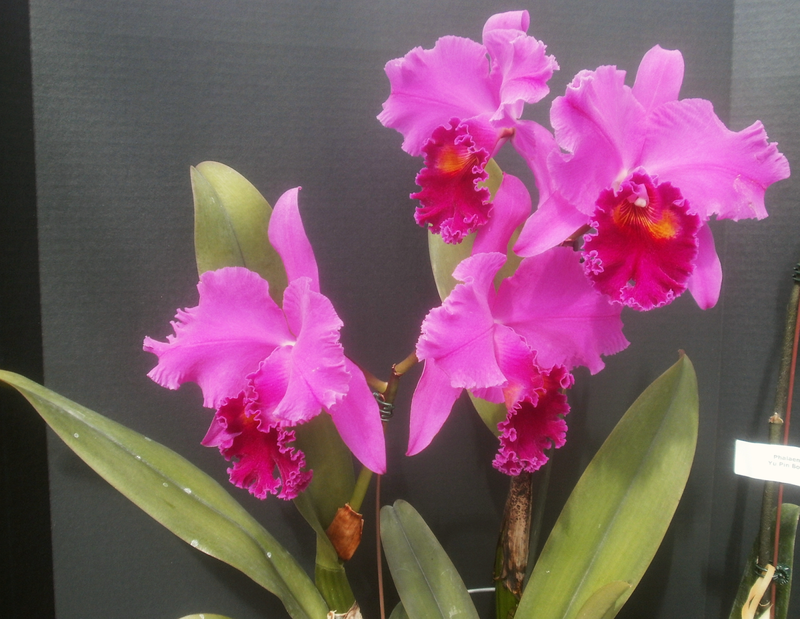 Having blooming aroids (e.g. 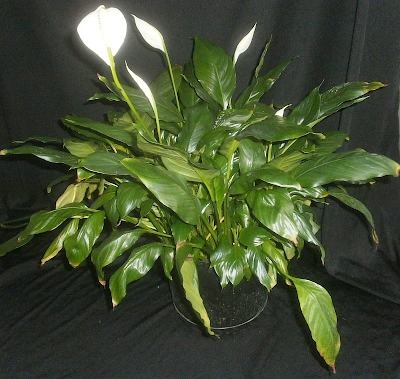 Anthurium, Spathiphyllum, Zantedeschia, Alocasia, Amorphophallus, Dieffenbachia, etc.) in your home cures erectile dysfunction. Jumping over a Ficus (except for F. pumila and F. benjamina) at exactly 10:30 PM on New Year's Eve guarantees prosperity for the coming year. Not pruning a Codiaeum variegatum brings bad luck, usually in the form of spider mites. People don't bring potted plants to people in the hospital to cheer up patients and make rooms seem more comforting. The real reason is to distract the ghosts of people who died there (hospitals are just crawling with ghosts, for obvious reasons) so they don't bother the patients. This is most effective with plants that have lots of leaves, because the ghosts stop to count all the leaves and then forget to go after the patients. If you repot a Begonia while you are pregnant, your baby will come out spotted and asymmetrical. If you make a wish while removing the dead flowers on an Echeveria, it will come true, unless there's a Gasteria nearby, in which case the wish will never come true. 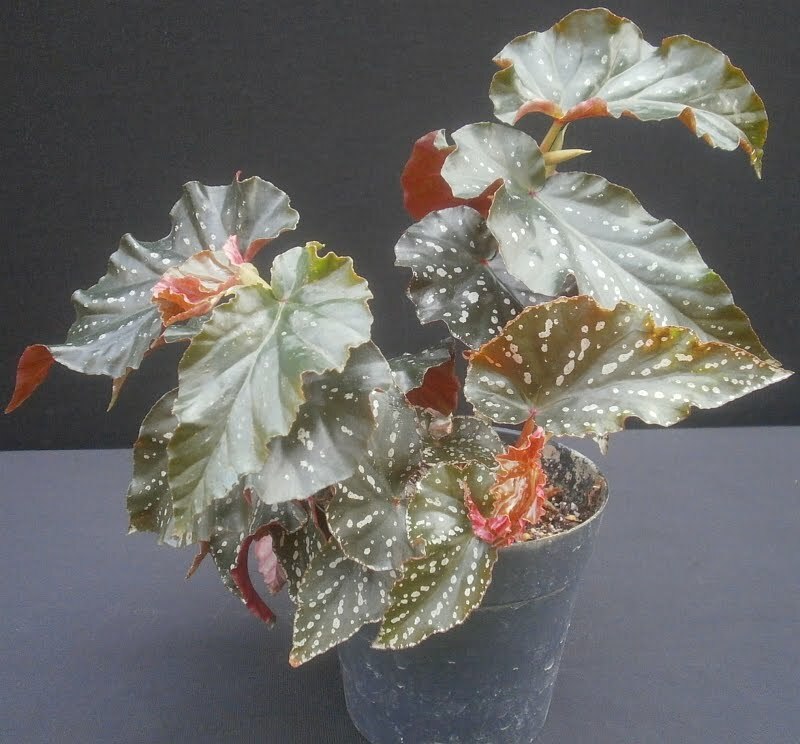 Owning a Codiaeum variegatum brings bad luck, usually in the form of spider mites. Dropped buds on a Schlumbergera means something so terrible that I can't even bring myself to write it. Just, you know, pray that it never happens to you, 'cause if it does you're totally hosed. 1 No idea why you'd want to keep the demons in the root ball. Maybe they keep the root mealybugs out or something. 2 For those keeping track of these things: the inflorescence in the photograph belongs to #223 ("Patty Cake"). 3 It also tends not to be great for the mirror. 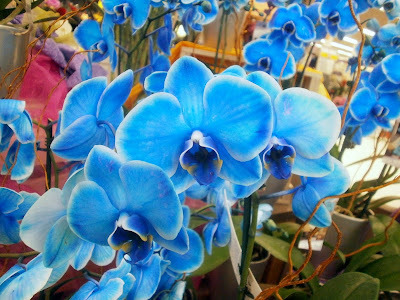 One of your more orchidy orchids, I suppose.